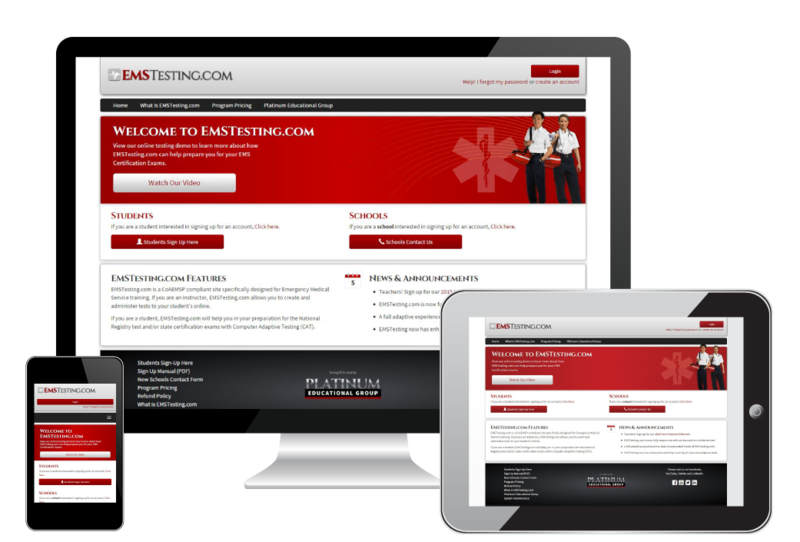 In February 2015 Platinum Educational Group partnered with Respondus Lockdown Browser for secure online testing in EMSTesting and PlatinumTests. We are proud to announce that we now offer Platinum Secure Testing for the iPad! The iPad Edition* of “LockDown Browser” (available free from iTunes) enables a student to use an iPad to take exams that use Platinum Secure Testing enabled tests by instructors in EMSTesting & PlatinumTests. *Requires iOS 7 or higher. View full directions for using the iPad for Platinum Secure Testing! View Student directions for using the iPad for Platinum Secure Testing!